I’m now officially addicted to wartime ‘oatmeal’ soup – although it should probably be called leek and carrot soup as the oatmeal is only added to thicken it. Anyway, I made a big pot at lunchtime and there was plenty left over for dinner this evening. 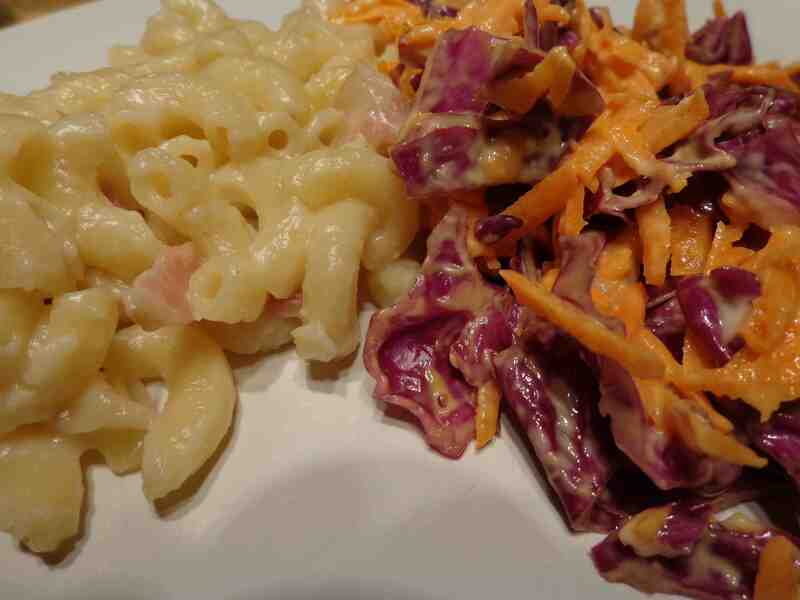 For dinner, macaroni and cheese – adding a rasher of bacon and half a fried onion for a bit of flavour – with red cabbage coleslaw on the side. Very tasty. 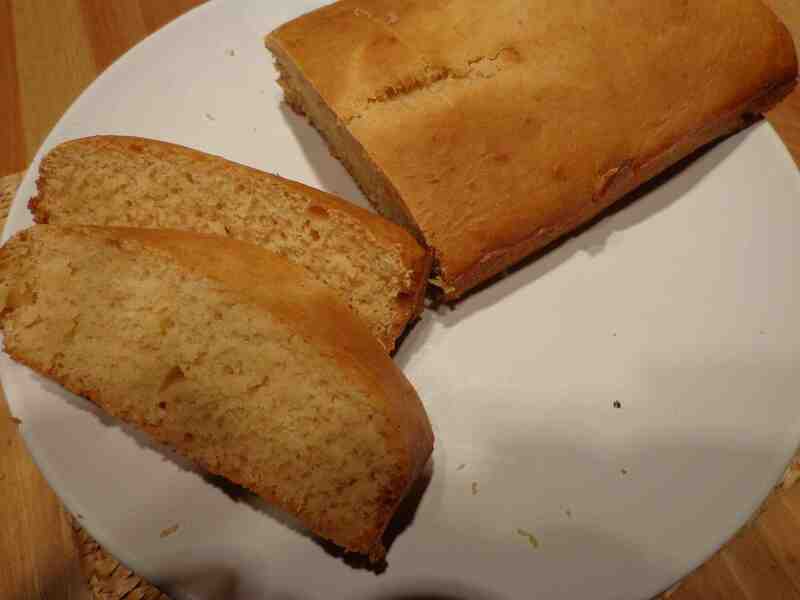 Then, instead of pudding, and given that I still have 1/2 a jar of golden syrup left, I decided to make a syrup loaf. You’ve got to know that I haven’t made a cake in years, so I wasn’t holding out much hope for it. Especially when I saw the recipe. I was under the impression you needed fat, eggs and sugar along with flour to make a good tasting sweet loaf… but apparently not. The picture doesn’t do the loaf justice because it tasted really good. And easy! The recipe comes from ‘We’ll Eat Again’ – Marguerite Patten’s recipes from the war years reissued by the Imperial War Museum. Cooking Time: 30 minutes. Quantity: 1 loaf. METHOD: Sift flour or flour and baking powder, bicarbonate of soda and salt. Heat the syrup and milk or milk and water, pour over the flour and beat well. Pour into a well greased 1 lb loaf tin and bake in the centre of a moderately hot to hot oven (200C) for 30 minutes until firm. 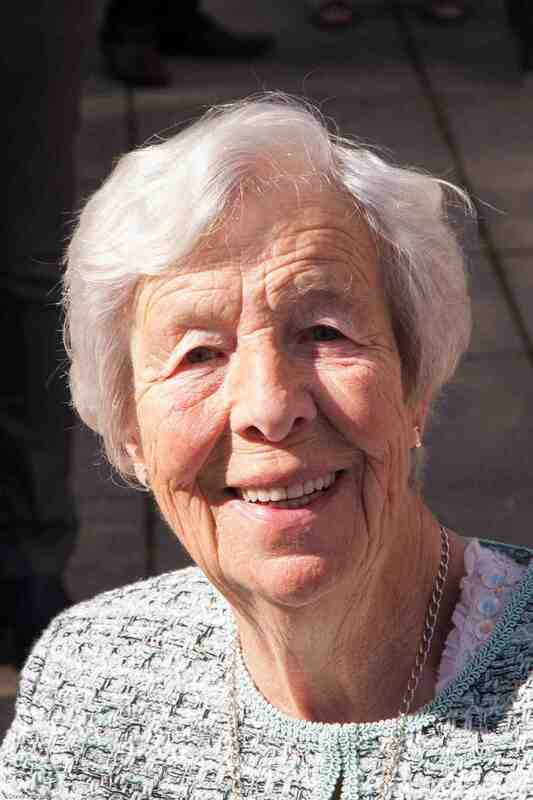 Having talked about going to the cinema during the war last week, here are Anne’s memories of going dancing in wartime Glasgow. Going dancing was the prime evening entertainment and Glasgow had lots of dance halls – the biggest one was the Green’s Playhouse in the city centre; Mary and Connie* used to go to the Plaza on the other side of town, but when it came to my day, I liked the smaller Astoria at Charing Cross even though it didn’t attract the big name bands. I loved dancing. I didn’t go to find a feller – I just wanted to dance, so kept my eyes open till I saw one dancing well, and when it came to a ‘Ladies’ Choice, there I was in front of him – didn’t matter what he looked like. Of course, we were doing real ballroom stuff – foxtrots, quicksteps etc and it was all very sedate. Hands had to stay where they ought to be – if they didn’t the MC (Master of Ceremonies) or one of his minions would have a word with you and if that didn’t work you were encouraged to leave. When the US Army moved in we were introduced to mild jitterbugging, and I enjoyed that too. This entry was posted in History, Wartime Rationing and tagged Astoria, Glasgow, rationing, Second World War, Syrup Loaf, wartime memories, wartime rations, World War Two. Bookmark the permalink. Question for Anne: What was it like having American’s in Glasgow? Were her and her friends excited, or was in the traditional British anti-American sentiment? Sounds like a fascinating time.